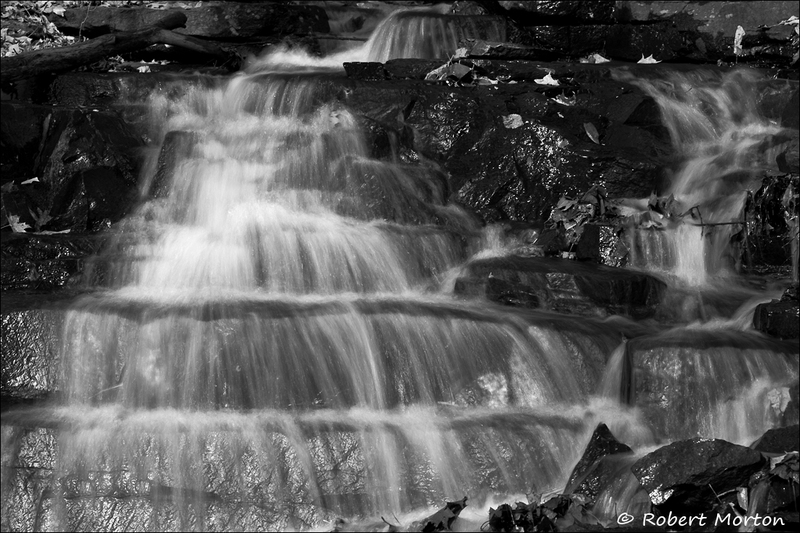 This little series of waterfalls is on a small creek that flows down the escarpment below the old Monastery in North Bay. 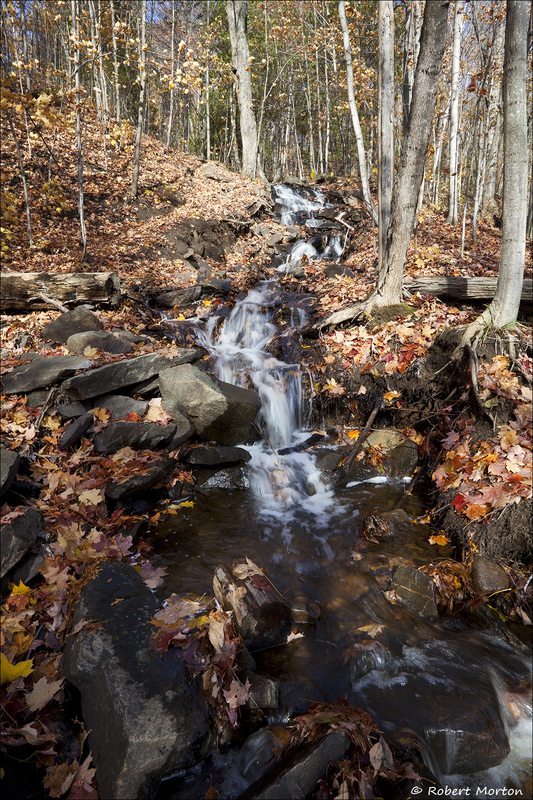 Recent rains have provided just enough water to make a pleasant autumn scene. The trees have lost most of their leaves and the forest floor is accumulating this year’s protective covering. Soon the blanket colour will change to white.